A major new version of EVGA GPU overclocking tool is available. 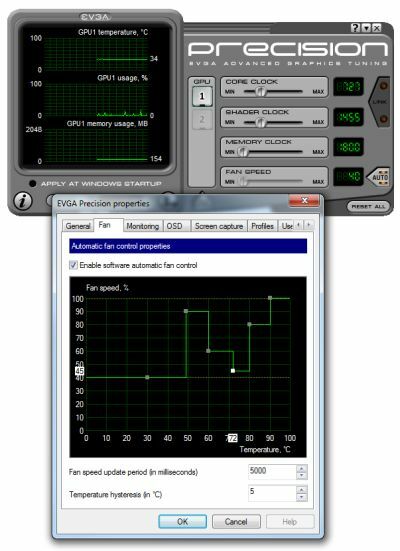 The main new feature of EVGA Precision 2.0.0 is the possibility to define a custom ampping between GPU temperature and fan speed (watch out: don’t try my settings!). As usual, to download Precision, you need an account in EVGA forums.